The toll in the explosion at an industrial park in eastern China climbed steeply to 44 on Friday morning as a number of people succumbed to their injuries. 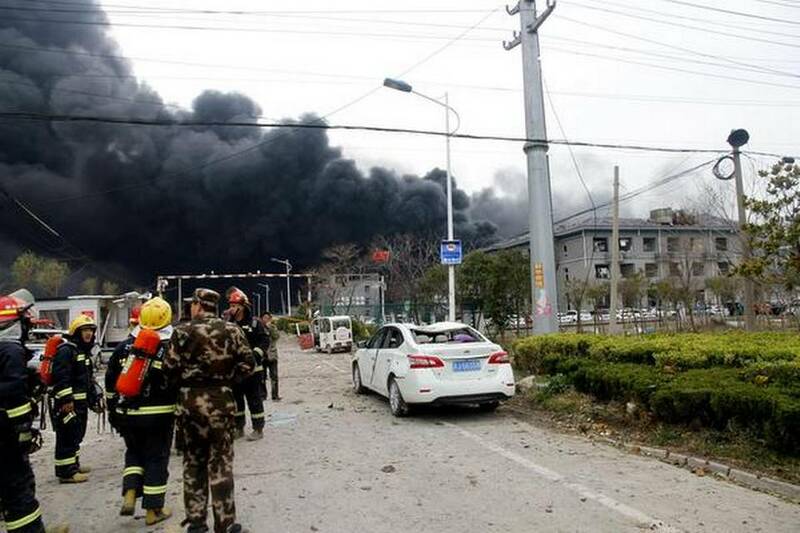 The explosion occurred on Thursday following a fire in a fertilizer factory in a chemical industrial park in Yancheng, Jiangsu province, according to the government of Xiangshui county. The death toll till early Friday morning was officially stated to be 44, reported state-run China Daily. The blast left 32 people in a critical condition and while 58 were seriously injured, the local authority stated. The Ministry of Emergency Management said 88 people have been rescued from the site of the incident. Eye-witnesses said several workers were trapped after buildings were knocked down by the shockwave stated to be a mild tremor caused by the blast which took place in a pesticide plant. The blast also shattered windows of nearby residential houses. A professor of applied chemistry at Beijing University of Chemical Technology, in an interview with CCTV, said the leak of toxic chemicals might have affected the people and environment in the surrounding areas. The residents should be evacuated from the place as soon as possible, the profesor said. According to the city’s environmental protection authority, the explosion had a negative influence on the air quality in the chemical park and its surrounding areas within a 500-meter radius, but the strong winds are expected to lift the heavy smoke. No residents live in the chemical park, while all people in nearby areas have been evacuated, officials said. Yancheng’s education department said school students were among those injured in the explosion. Online maps of the area indicate that there are at least 10 schools close to the site. Beijing Youth Daily reported that the explosion was caused by benzene and occurred in a production area of the plant. A witness surnamed Xie living about 1.5-km from the plant told Hong Kong-based South China Morning Post that all her windows were shattered by the blast.